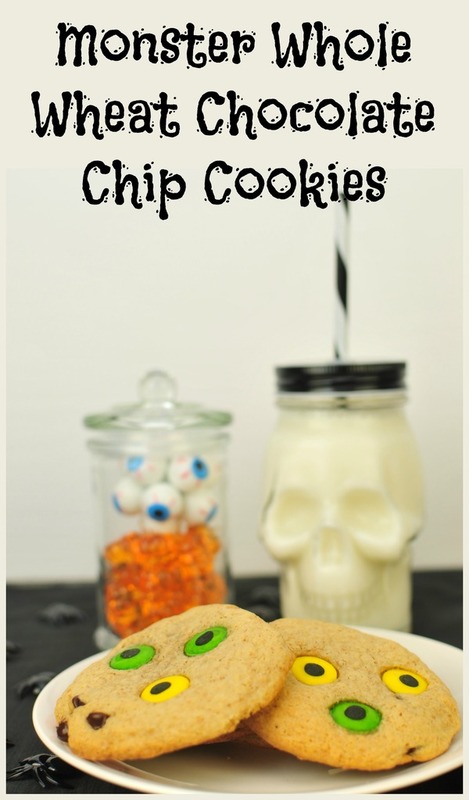 Looking for a fun treat for Halloween? 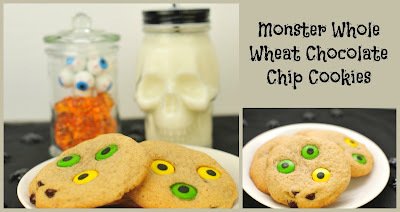 Why not try these Monster Whole Wheat Chocolate Chip Cookies. 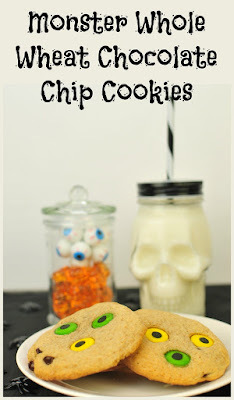 Not a fan of chocolate chips, substitute with peanut butter chip, butterscotch chips, etc. 1. In a small bowl combine flour, baking soda and salt. 2. In a separate bowl use an electric or stand mixer and cream the butter and sugar. Once creamed add eggs and beat until light and fluffy. Add in vanilla and mix. 3. With the mixer on slow speed mix in the flour mixture until just incorporated. Stir in chocolate chips. 4. Drop batter by heaping teaspoon onto a lightly sprayed cooking sheet (we used Pam). 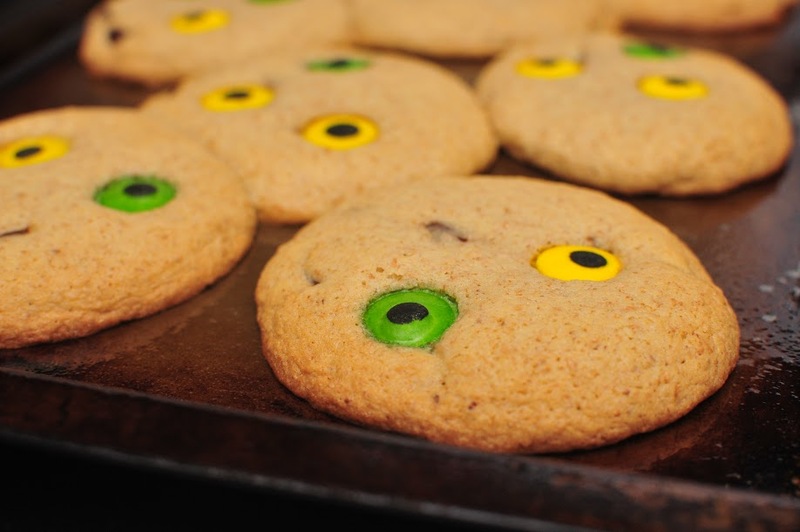 This cookie recipe spreads so make sure each cookie is 2 inches apart. 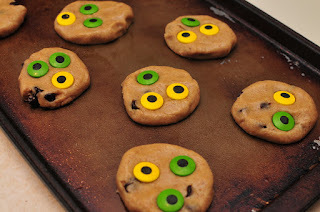 Lightly press down cookies and place candy eyeballs on cookies. 5. Bake in a 350 F oven for 10 minutes. Wilton 710-0132 Halloween Spooky Candy Eyeballs, 1 oz $3.47 & FREE Shipping on orders over $49. Wilton Mini Candy Eyeballs $5.99 & FREE Shipping on orders over $49. 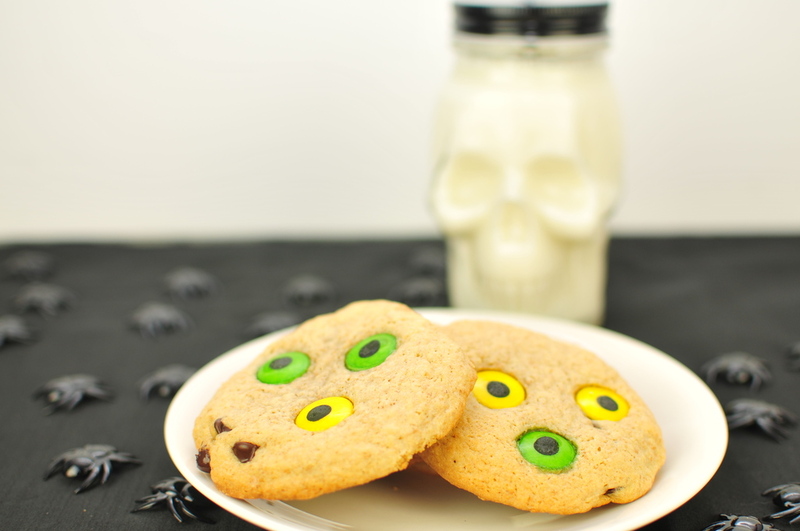 Wilton Candy Eyeballs,0.88 oz,Count of 56 $2.59 & FREE Shipping on orders over $49.